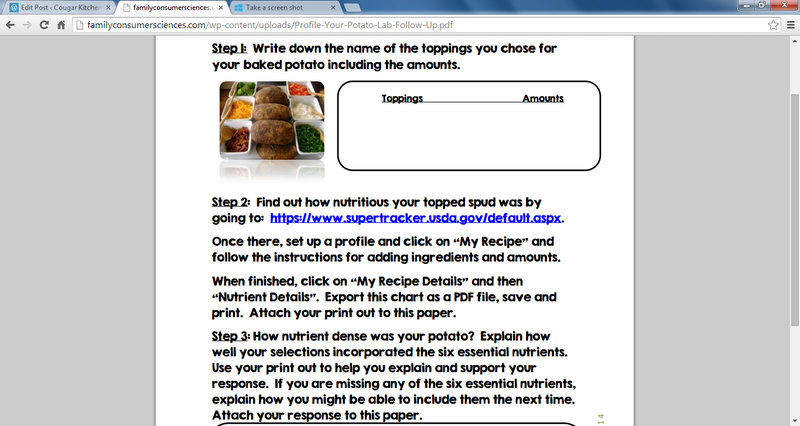 As we continue to learn about nutrients, students had a tater topper lab. They had a topping bar you would see in a restaurant. 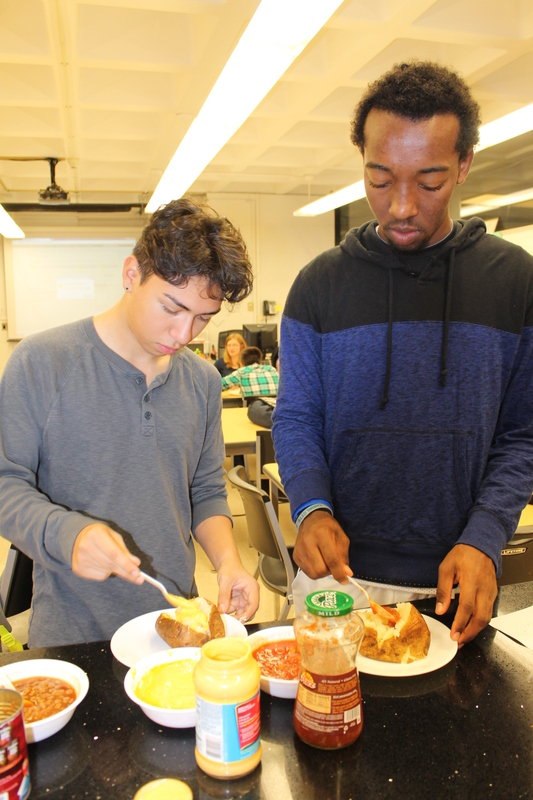 I wanted lots of nutritious choices for them to choose from as they discovered how nutritious there potato was or could be. 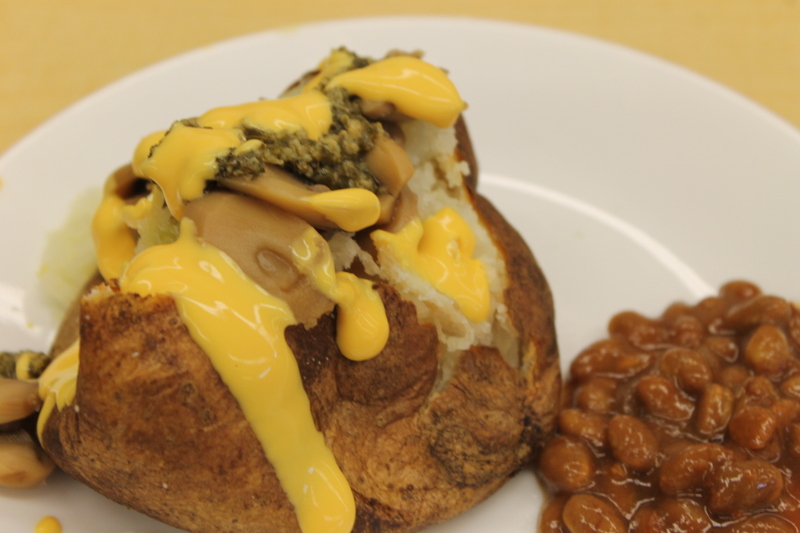 Some got protein from beans and vitamins from cheese, they’ll discover this from their next assignment. Others were piled high with nutrition and color. I know the students enjoyed choices galore. It put a smile on Zoe’s face to have her vegetarian options. Iggy and Anthony like their nutritious toppings. 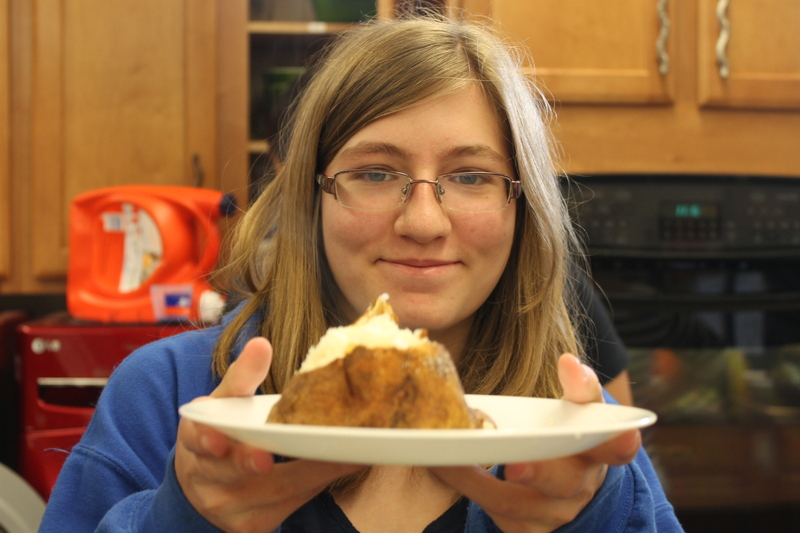 After the potato topper lab and a lot of smiles, we jumped into our profiling. 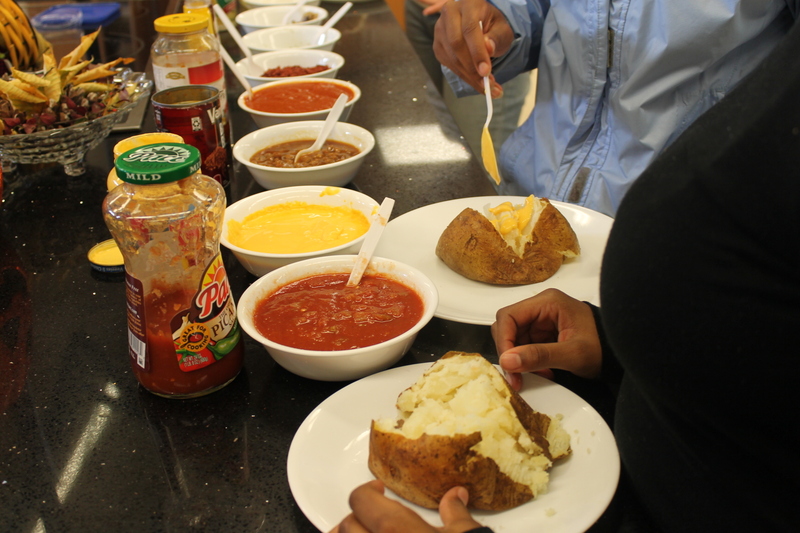 Students use their potato toppings from lab to determine how nutritious their potato was. 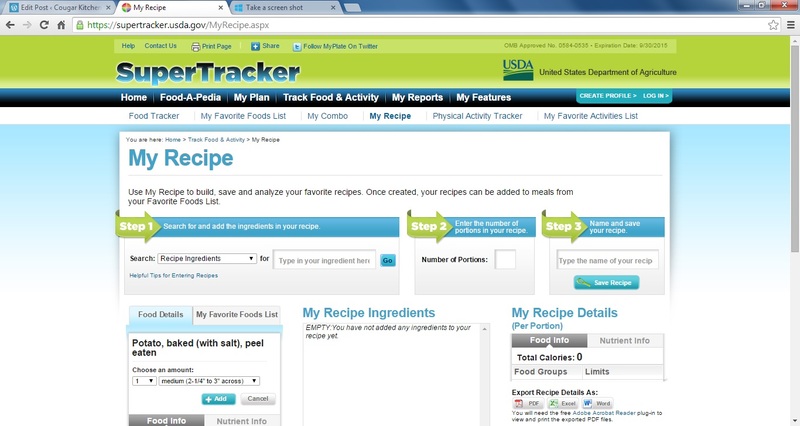 They are using Super Tracker along with my recipe link to find the nutrient details. I have them print their chart as a PDF file and make a decision based on their evidence. 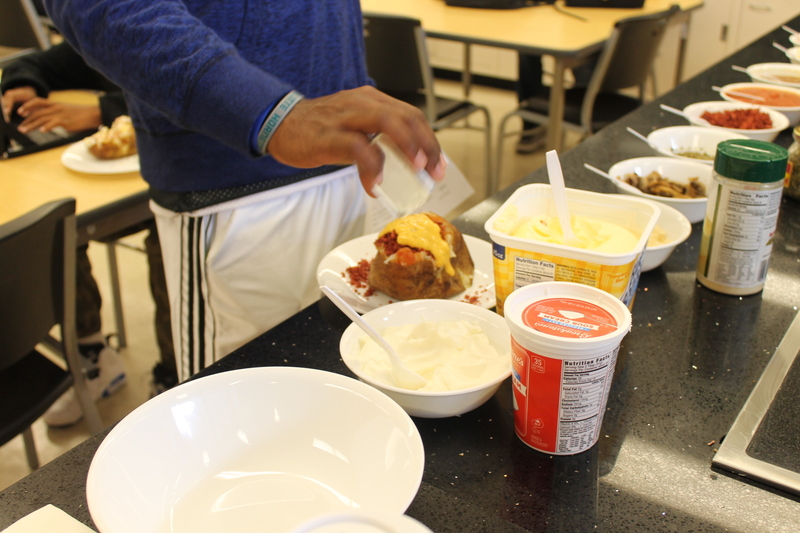 Students enter in the recipe ingredients, such as the large potato with skin eaten and add to the my recipe ingredients. They see the recipe details start to add up in the far right column. 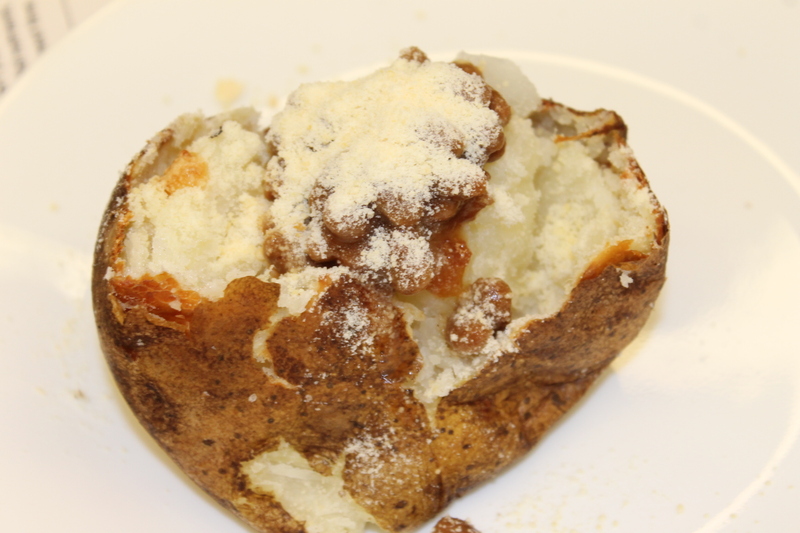 The calories and nutrients will be calculated along with other details. I have them export their recipe as a pdf file. They emailed me their file and I printed it for them during class. 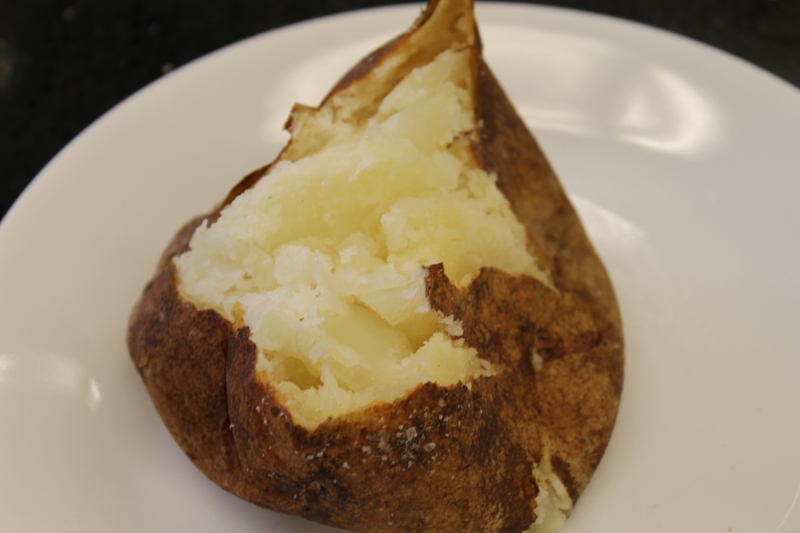 Tomorrow students will then use this print out to write a supportive paragraph detailing their nutrients in their potato. 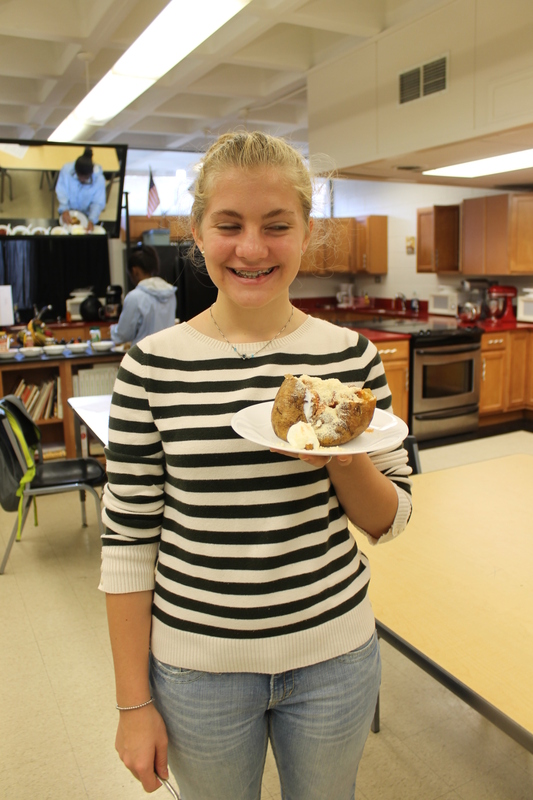 I was extremely pleased with the level of technology in both of my foods 1 classes. Everyone had a print out with some help saving their pdf file and emailing it to me. This is such a great technology experience helping them learn the real world! This handout along with the entire lesson was found a familyandconsumersciences.com. I stumbled across this site when I was pinning ideas in my Pinterest account. I’m so glad I found this super organized lesson with all the details. I tweaked it very little to fit my students. All the resources can be found here. I’d call this nutrient lesson a wrap! 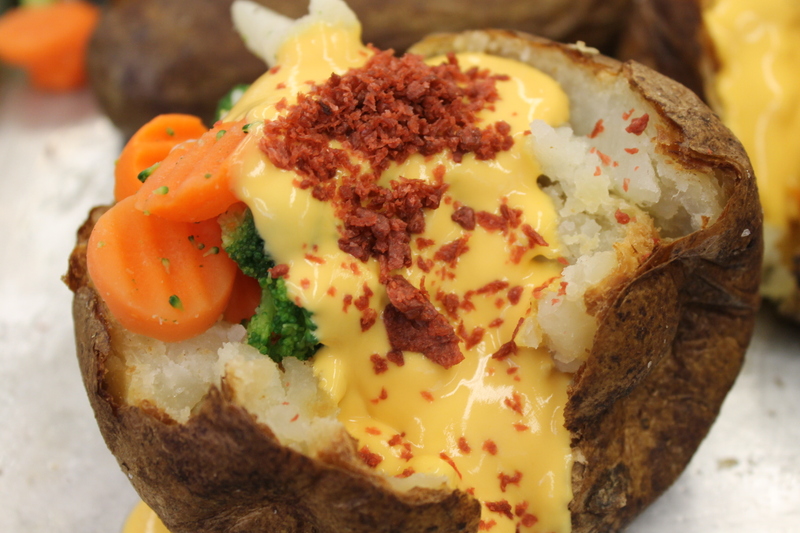 How would you top your potato?